At this point, our team has assessed damages and continues to address emergencies as they arise. Although the quake gave us quite a scare, housing overall remains in good shape. Many have asked about structural issues. Structural damage from the earthquake is not likely, however there are a few key indicators to look out for. If structural damage is observed, please call it in so we can address immediately. Multiple doors are very difficult to open or close due to shift in door frame. Windows difficult to open or close (or glass broken out) due to shift in window frame. Large cracks greater than 1/8″ wide in concrete or drywall. Look under all sinks, next to toilets, and behind/under washers for signs of leaks. If you have a gas dryer, look behind to ensure the flexible gas line remains connected and smell for gas (rotten egg smell). If you have a furnace, water heater, or boiler in your unit, check for a gas smell. Make sure your dryer hose (4″ diameter, aluminum hose that connects from your dryer to the wall) is still attached. Check your garage door function. Please report minor/ non-emergency issues through our web-based contact form. Many of you will notice cracks in sheet rock that popped up after or during the earthquake. Cracks (usually they are less than 1/8 inch wide) that result from earthquakes are common in Anchorage. If you’d like to document these minor damages, you are welcome to submit photos through the maintenance form, however, we have never charged for cracks from earth shifting and do not routinely repair these. 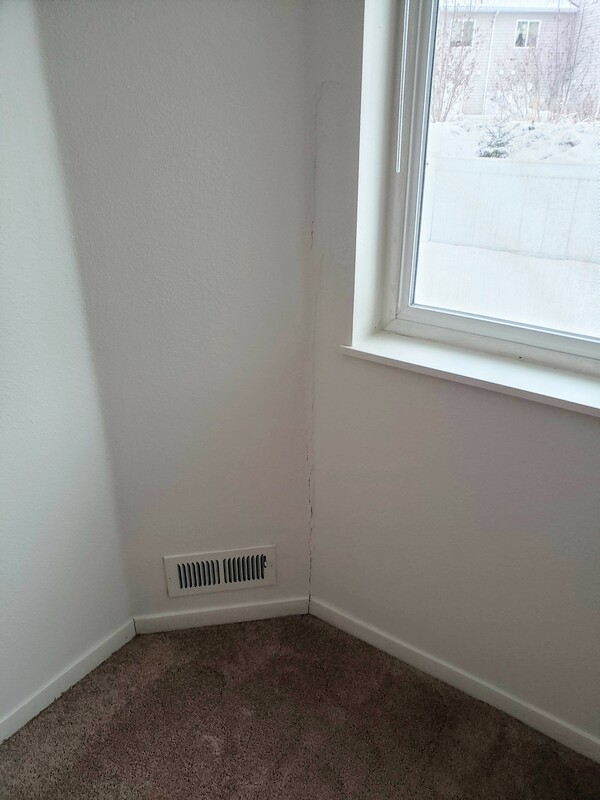 Thin cracks in drywall are not uncommon after earthquakes. Most of us lost some plates and glasses to the earthquake, although some damage was unfortunately far more costly. The renter’s insurance policy that we provide to each resident excludes earthquakes from coverage. This means that they will not provide reimbursements for damage to personal property resulting from the earthquake. Please do not attempt to submit claims. If you have an additional, supplemental policy, you should consult with your insurance agent and the policy itself to determine if earthquakes are included. That being said, JAG has a support page that details additional avenues for potential reimbursement. There will be two town halls hosted by the 673 ABW to discuss earthquake related issues. We will continue to keep you updated as we work to return to business as usual. Please do not hesitate to contact our office with any questions or concerns.